The official website for The Legend of Zelda: Breath of the Wild has been updated with new information related to The Legend of Zelda: Breath of the Wild DLC Pack 1. Nintendo plans to provide new information everyday as part of a countdown to the launch of the DLC on June 30th. 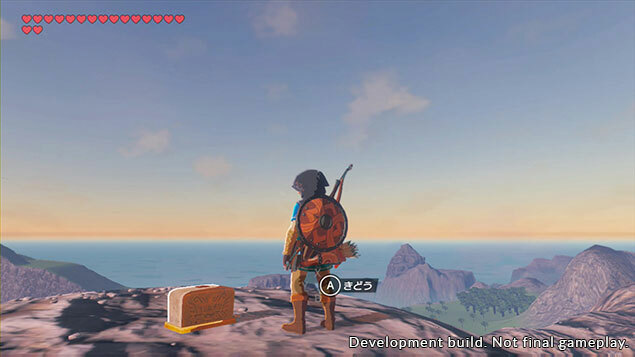 Breath of the Wild director Fujibayashi revealed that during the game’s development, the team placed random rocks in suspicious locations around the vast world of Hyrule as part of an experiment. As development continued, they realized it wouldn’t be challenging or intriguing for players to simply find rocks placed in random spots. Hence they replaced the boring rocks with Koroks, mysterious creatures from Hyrule Forest. The random “rocks” used during development happened to be the Master Sword’s pedestal from The Legend of Zelda: Skyward Sword. More on the Korok Mask, a wearable item in DLC Pack 1, can be found on the official blog here.